Do you want to improve the lighting on your films using pro lights, or just know more about lighting before you start making films? Most people rent lights for their shoots, but which lights should you rent? Do you know you how to get the correct exposure? Your f-stops from your greyscale? You Kelvins from your Gammas? Your Gobos from your HMI’s? Your Dedo’s from your ND? Learn the meaning behind the lingo of a pro-lighting person and get your hands dirty setting them up! This Lighting Workshop will introduce participants the principles of lighting using different professional lights, giving them a better understanding and confidence to deal with diverse lighting situations. 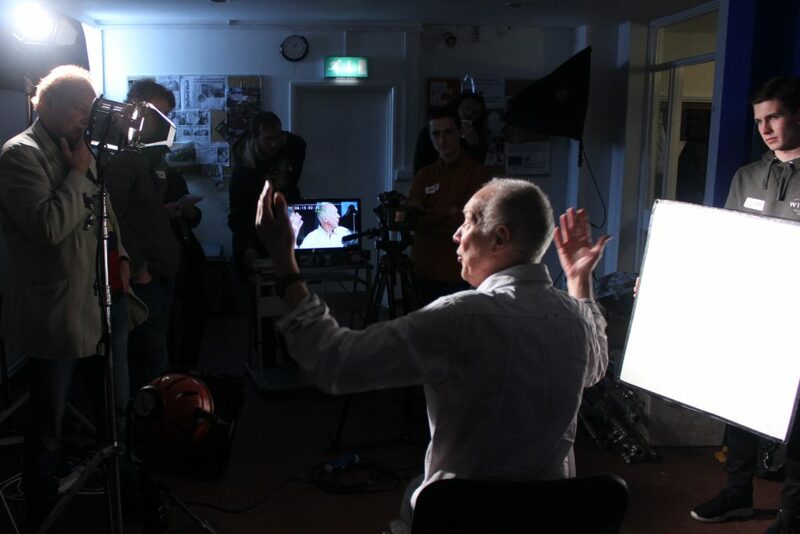 The course is led by former BBC senior cameraman Graham Reed, and during the course, you will be encouraged to rig and use the lights yourselves. 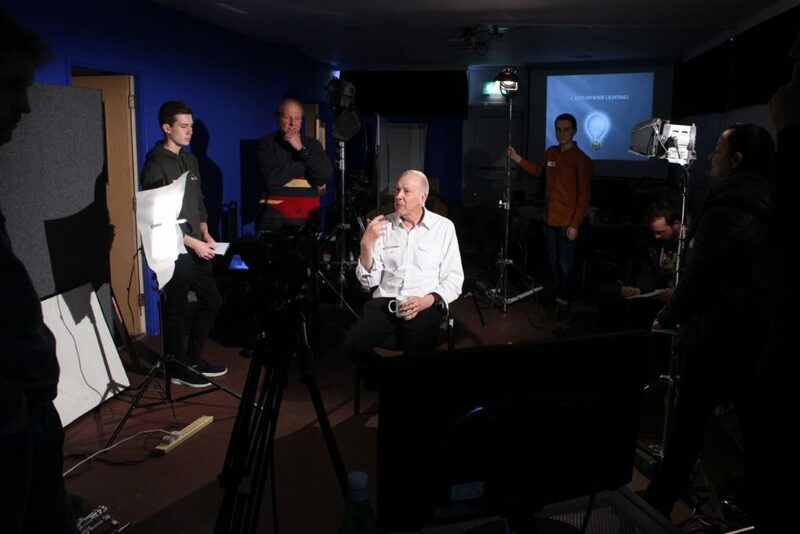 It is an ideal companion course to Video Camera Course (4k & HD) and Location Sound weekend courses. I worked for the BBC for 21 years, first as a camera assistant, then as a cameraman, then Senior Cameraman before becoming a Freelance Lighting Cameraman. I’ve worked on every type of TV programme in studios and on location. I’ve gained invaluable experience by working with many great artists and directors. I also learnt much by working with well known and respected cameramen, Ron Green, Jim Atkinson. I now spend my working time as a Lighting Director, Lighting Cameraman, Cameraman, either in a studio, on location or on an OB. Because of my great experience and skills, I easily change from planning large lighting rigs, as a Lighting Director, being Camera Supervisor on a multi-camera shoot to operating a single camera. I also lecture and run training courses. The need for lighting will be discussed and the differences between lighting and illumination. How do we know when a picture is exposed correctly. How does exposure effect depth of field? F stops. What do the numbers mean? We view our pictures on monitors. How the settings on the monitor will effect our picture judgment. What lighting level should we start with? What is gamma? You will be told what it is and how it changes the look of the pictures. By using the lights you will be shown simple 3 point lighting using Redheads. You will have the opportunity to rig them yourselves. What are the differences and how do we use them. You will then be able for yourselves to change a hard source into a soft source. During lunch, we can discuss any other camera topics that you would like to be clarified. Understanding Kelvin. The difference between tungsten lights and HMI’s discharge lighting. You will be able to rig an HMI and see the difference between them. Using colour. What are the problems of using gels. You will have the opportunity to try out different colours and to see how they look on screen. Light Control. How do we control the lighting level? The importance of understanding this principle. How important you understand current, amps. Lighting can be very dangerous. Taking care. How to go about it and filling Risk Assessment forms. Review. What we have learnt and where do you go from here. R.A. – Great course. Good tips on how to do things in practice. £75 Discount for NUS Students people on following means-tested benefits, proof required: ESA (income related); Income Support; Working Tax Credit (not child tax credit); Council Tax Benefit (not student/single person/reduction due to disability); Housing Benefit; Pension Credit (guarantee); Unwaged Dependent of these benefits. £124 Discount for NUS Students and people on following means-tested benefits, proof required: ESA (income related); Income Support; JSA; Working Tax Credit (not child tax credit); Council Tax Benefit; Housing Benefit; Pension Credit (guarantee); Unwaged Dependent of these benefits.